We would like to Welcome you to our sight in your first step to “Making Your Life Easier”! Our medical billing service covers West and Middle Tennessee as well as some areas of Kentucky, Missouri, and Mississippi. 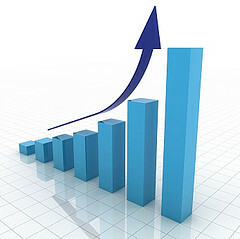 We will increase your reimbursement, while making your business more profitable. It is well known that the current average medical billing fee is 8.5% nationwide. We, at EZ Billing Services, understand that times are tough. So, in your best interest and taking your needs into consideration, our billing fees are below the national average. From the moment you are with us, we are saving you money. We at EZ Billing Services thrive on decreasing the provider’s stress, so that you as the provider, can focus on what is most important, your patients. Our Company offers your business the individual attention it deserves. We want the opportunity to provide you with our services. We understand that managing an office is difficult, time consuming, and stressful. So, let us help you alleviate those worries. Genene Smith: I have over 25 years of experience in the medical office world. My experience has taken me from working in insurance departments in hospital, nursing homes, and mostly in family medical clinics. I have done coding for medical practices for 15 years. I have worked accounts in patient maintenance as well as insurance maintenance. I have worked for a billing company in which I maintained accounts for five providers including Nurse Practioners. I have had experience in many types of medical specialties. I have also handled credentialing for various types of medical providers and well as nurse practioners. Yoanda Coello: I have over 12 years of experience in the medical office world. I am a certified billing and coding specialist. My experience has taken me from working in the surgical out patient billing department in a hospital, DME Company, and several billing companies; where I have billed for Nurse Practioners, dermatologist, family care clinics, and Home Health. I have done coding for all types of practices. I have worked on aging reports, claim follow up, denials, and patient account maintenance. Together, we believe in treating our customer’s business as though it were our own. We believe in morals of honesty and fairness as well as respect. Our motto is “Making Your Life Easier” and that is what we are here to do. We want to help the providers provide the best for their patients by not having to worry about their financial status of billing their patients and collecting revenue. We are here to serve! No medical or dental expenses, freedom of staff’s time to concentrate on patient care and administrative tasks, no vacation pay, no sick time pay, no billing staff turnover, reduction of staff hours and overhead expenses, no training and continue education expenses, no performance bonus, and less write offs due to decrease of errors resulting in more claims paid. Our first goal is to illustrate how we can save you money, especially during the difficulties with the economy. This information is based on 3 Billing Clerks at $22,000.00 per year each. Yearly Earnings for 3 employees: $66,000, 10% all payroll taxes: $6600, and employee expense (sick pay, personal time, med/disblty ins) 20%: $13,200. This gives Employee Expense to be: $85,800 per year. Other Expenses: Office space for extra employee ($15 per sq ft for extra 150 sq ft): $2,250, Postage 150 per week/yearly total: $3666, copy paper/claim forms/envelopes (5200 pts per year): $1,457. The Total All expenses (employee & other) is: $93,173. Outsource VS In-House Billing: Figured at 20 patients per day (5,200 per year) and $85 per visit ($442,000 per provider) at 2 providers. Total In-House Billing Exp. : $93,173.00. Outsource Billing 7% of 30% Collected Revenue: $18,564.00. As you can see, there is a lot to be saved just by trusting in us. With your best interest in mind, we guarantee our best to serve you. Account Receivable Management, Patient Billing, Payment Posting, Resolving Past Due Claims, Coding and Coding Analysis, Claim Follow Up, and Performance Reporting and Monitoring. Filing of insurance applications and follow up. Office reorganization, Managing Techniques, and Train staff members for a more successful office. All Outstanding Insurance Follow Up. Customer Statement Monthly/Yearly Billing and Monthly Business Reports.